How about testing your codes snippets first before saving them for deployment? Modern web trends have made this testing very easy. Now you can have your websites codes tested beforehand to find out all the loop holes and you can make your website live smoothly. In this post I have a list of Test Your Code Online Through Top 15+ Websites.you need to have internet connections to check your codes on these online apps. So what are you waiting for? Check codes and make your website go online…Enjoy coding! The Compilr site is a desktop style online Compilr. You work on here and Start your Project with Numerous Programming language on number of tabs. however you start your new project you need an account to register. After register your self this site take a look like your desktop application its easier use to work and prior Experience. its very useful for programmer and compilr support programming language for practices with C++,C# and Visual Basic. The Coderun is an online editor application and you can code in C# for ASP.NEt. Libraries of the coderun include in 3rd Party resources like Facebook and Silverlight connect. 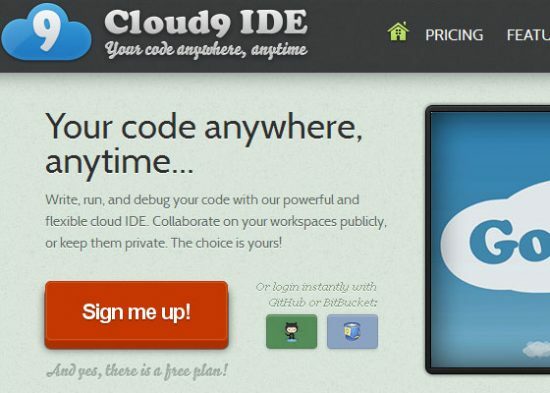 Cloud9 is the Great Source for Editors to Edit the code online. Cloud9 is not like a Editor, This is a full system to use the tools and resources you will store your code on their server. You need to Signup an account this account is free for all public Project. If you want to make Private project or development of space you need to pay $15 Per Month and $180 per Year. you can share your privet code with everybody you choose. SQL Fiddle you use for except database Syntax of SQL and you use in alternate database code for testing. May you sure like it. This site is Lil bit change, the code editor as you expect works. if you not used the framework before. this is open source code like Node.js if you are a skillset person its possible to work with it. The codepad application is hosting on viper-7.com, which is the same as an online editor. In the Viper-7 you can change your between Php5 and php4. if you signup an account on viper-7.com you use the services of as a personal storage system. Just like other Editors. you can create php project and keep hosted free for online.